Former long-serving Arsenal manager Arsene Wenger has revealed he is set to return to football on January 1st 2019 but hasn’t given any indication what role he’ll go in to. Wenger parted ways with Arsenal at the end of last season following a 22-year spell in north London that saw him revolutionise not only our club, but also English football as we knew it. The Frenchman led Arsenal to 3 Premier League titles and 7 FA Cups, reached the Champions League final and brought us the Invincibles so he’ll go down as a key figure in the clubs illustrious history. After spending so many years dedicated to his job at Arsenal, Wenger has been enjoying some well-earned time off over the past few months and the 68-year-old has been relaxing with his family and friends away from the spotlight. However, it looks like Arsene is getting itchy feet as he’s now confirmed that he’s ready to return to work in football in the New Year but he hasn’t given any indication what type of role he’ll go in to. It’s going to be fascinating to see where Wenger ends up. Since leaving Arsenal, he’s been linked with a number of management jobs all over the world, director of football positions and was even touted for a role at the Football Association. No doubt Wenger has a variety of opportunities in front of him but the latest rumour is he’s being lined-up for some sort of non-coaching role at Paris Saint-Germain and that would make a lot of sense. 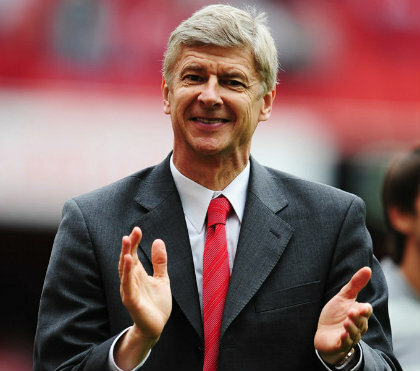 We’ll have to wait and see where he ends up but I wish Wenger the very best in whatever his new adventure will be. For all the tough times during the second half of his tenure, he gave everything for Arsenal and he deserves all of our respect.